SPOILER ALERT -- Nothing remotely gay but members who've traveled in Vietnam, or just fans of its cuisine, may find it of interest. When I returned to Vietnam in 2015 — my first visit since serving there with the Army in 1967 and ’68 — I was a bit nervous about how my wartime experiences would match up with today’s realities. One of my biggest worries was how I would react to the food. I’ve traveled the world over the past 50 years, so I wasn’t afraid that the food served in Vietnam today would be too exotic or unpalatable to my Western tastes. But I was also coming with a conviction to do something I had carefully avoided in the ’60s: eating it. Modern Americans, who have lived with Vietnamese cuisine for decades, might find my youthful fear of the local cuisine a bit strange. 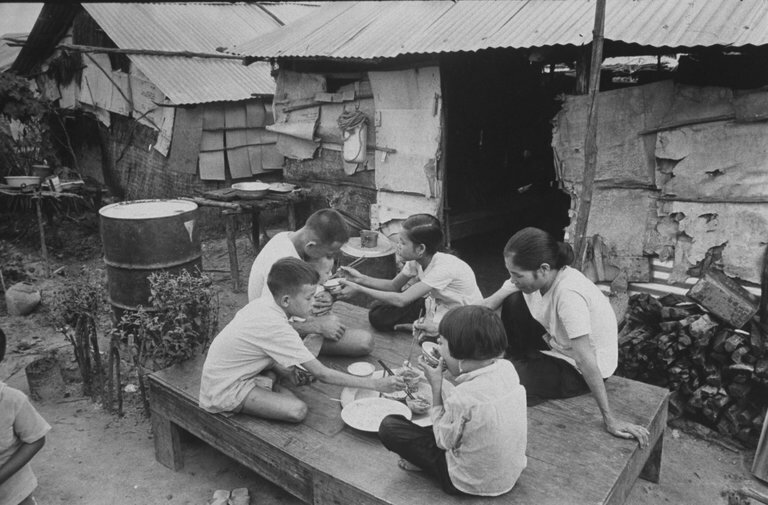 But America in the 1960s wasn’t just a less cosmopolitan place, with a less adventurous palate; the food I encountered — and avoided — in the field was a far cry from the Americanized pho and banh mi dishes that we think of as “Vietnamese” food today. Those people I encountered in the field, far away from Saigon, led an elemental, communal lifestyle that Thoreau would have celebrated. Most of the population in the rice-growing region existed in pre-modern isolation on thousands of tiny islets that dotted the paddies. One day when I was on patrol, a little girl stopped me and indicated, by sign language, that she needed my help (she spoke no English, and I understood almost no Vietnamese). She wanted me to lift a heavy, solid-wood object that looked like a large plug or bottle stopper. When I did, she pointed to a wooden box on legs filled with a wet, pulpy mass. As I placed the plug into the box, the girl slid an aluminum pan below it and, as the heavy plug pressed down on the pulp, rice noodles extruded from the bottom of the box! Simple, yet effective. Perhaps the most extreme example of a local delicacy that was just too foreign for American palates was nuoc mam — the pungent fish-based sauce used as a condiment on Vietnamese food. These days, nuoc mam can be found in many well-stocked food stores and restaurants here in the United States. But the sauce used so liberally by Vietnamese when we were deployed there — especially the powerful, homegrown version made by those villagers living out in the paddies — bears little relation to the stuff bottled and sold today. Just ask any American soldier who served in Vietnam at that time; it was raw white lightning compared with a fine vintage wine. Tastes change, and mine have certainly matured from when I was a 19-year-old soldier on my first trip to an exotic land far from the familiar customs and foods I grew up with. And nuoc mam is more refined as well, I suspect in part to make it more universally palatable — or at least commercially viable — to the international set. I recently read an online post that described how nuoc mam is commercially produced for modern diners, using anchovies caught in the coastal waters off Vietnam. It is still pungent, but it’s definitely not the foul-smelling, tear-inducing nuoc mam I remember from “back in the day.” I dared to try it during my 2015 visit and discovered, to my everlasting surprise, that it is tasty and inoffensive. But travelers who now flock to Vietnam and other areas of Southeast Asia seeking an “authentic” dining experience need to get out into the more remote countryside beyond their guided tours, and sample the local cuisine doused with nuoc mam the way the locals like it — pungent, powerful and, in so many ways, unforgettable.